The search found 140 results in 0.109 seconds. 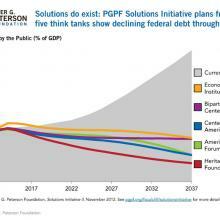 PGPF Solutions Initiative plans from five think tanks show declining federal debt through 2037. 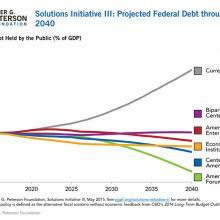 PGPF Solutions Initiative III plans from five think tanks show declining federal debt through 2039. Many Americans born in the top and bottom income quintiles remain in those income groups as adults. Social Security benefits constitute a major share of the retirement income for low-income seniors.